This event becomes available on the 10th of April and lasts 14 days. If you do not complete this event in time, you'll miss out on "limited-edition sleepwear pack". This means you miss out on the collections for certain age-groups, Adults are the very last! Sleepwear fashion label Siesta Fiesta is bringing their latest range of night attire to Sim town for a limited time! There are FIVE different packs of sleepwear to collect! Tip: Send one Sim to a neighbour's town to do the hobby there as well! (The fashion event has begun! Sleepwear fashion label, Siesta Fiesta is holding a modelling competition in Sunset Mall! 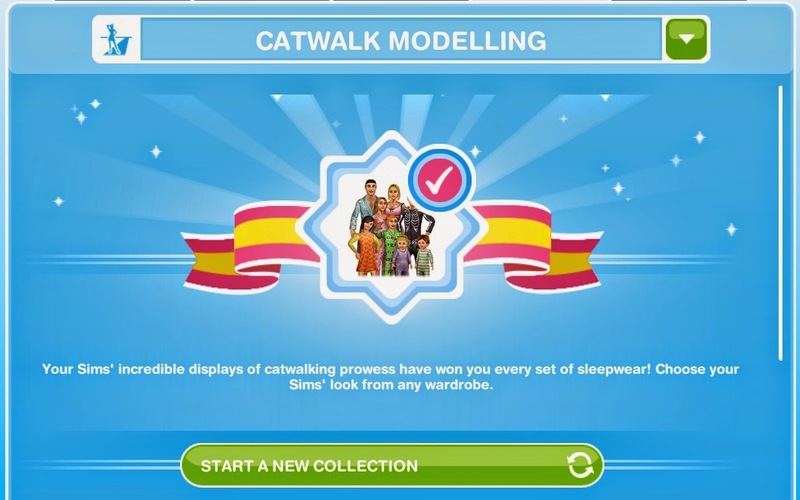 Sims that show poise, style, and ingenuity on the catwalk will win limited-edition sleepwear for all of Sim Town! (Impressive! Siesta Fiesta representatives have taken notice of your Sims' smooth style, and are interested to see what else they can do. Show them! This unlocks the sleepwear for toddlers. (Wow! Siesta Fiesta are very impressed and have awarded your Sims with the first set of their new nightwear range! There's a lot more still left to collect. This unlocks the sleepwear for pre-teens (suddenly called teen in the reward picture). (Things are heating up at the Sleepwear Fashion Event! Many more fantastic sleepwear packs are still waiting to be won! This unlocks the sleepwear for seniors. (The moves on display so far have been dazzling, elegant, respectable! Your Sims are so hot right now! 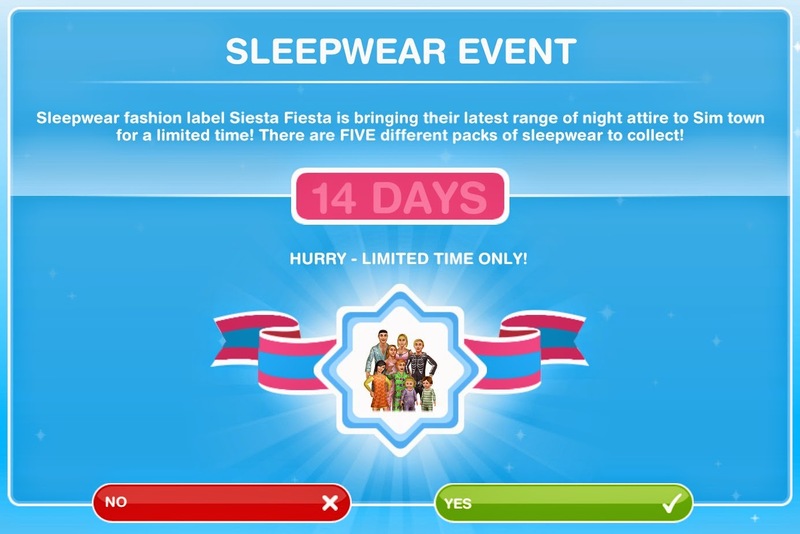 Siesta Fiesta can't give them the sleepwear packs fast enough! This unlocks the sleepwear for teens (suddenly called tweens in the reward picture). (The stage is set, and every Sim is cheering. The catwalk lights up... GO! Strut, swagger, work it, and give it your all! This unlocks the sleepwear for adults. 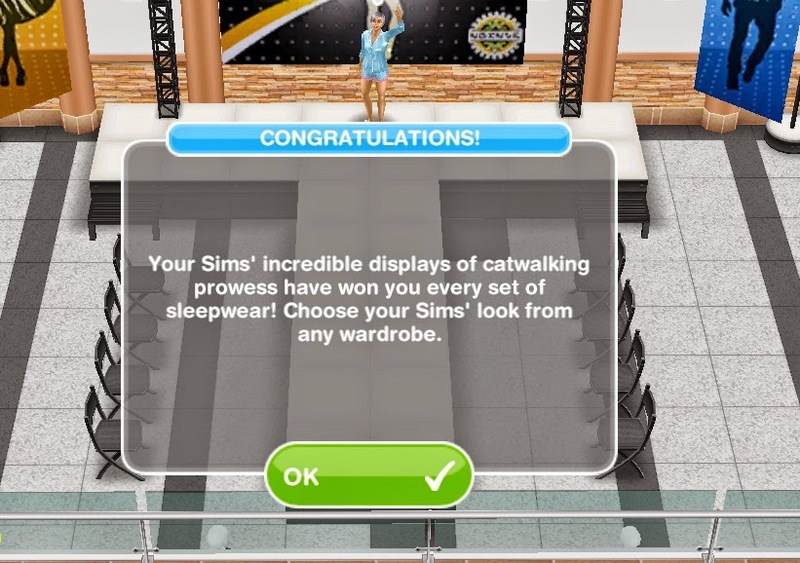 Your Sims' incredible displays of catwalking prowess have won you every set of sleepwear! Choose your Sims' look from any wardrobe. 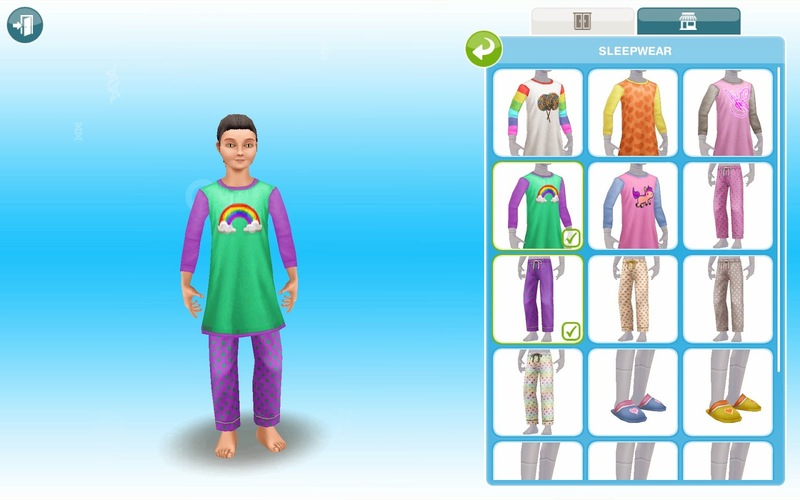 The sleepwear collection can be found in the wardrobe, CAS (create-a-sim), stores and is Free! The collection itself is too big to post in pictures, so here are two examples. Please note that you can pick different tops, bottoms, footwear and only footwear can be taken off.